Those who fill out a P.C. Richard and Son application are looking to join a company that respects and tries to work closely with their customers to give them the best product that they’re looking for. Link to apply for jobs at P.C. Richard and Son are at the bottom of the page. In 1909, Peter Christian Richard, and immigrant from Holland, opened a hardware store in Brooklyn, New York. The store was move in 1924 to Queens as they slowly begin to expand their business, starting to sell toasters. A.J., Peter’s son, worked closely with his father, began adding more electronic devices to the store in 1932. During the 1950s, P.C. Richard and Son stores begin to expand throughout Queens as A.J.’s sons join the business. From the 1960s through the 2000s, P.C. Richard and Son kept expanding getting stores in New Jersey, and with the demise of Circuit City, their first store in Connecticut. Their headquarters were moved to New Jersey, along with their service center and one of their warehouses. During the 2010s, the company began opening more stores in Pennsylvania. People who have P.C. 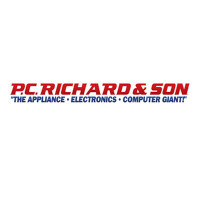 Richard and Son jobs strive to follow the company ideals of Reliability, Honesty, and Integrity. They want their employees to feel as though they are a part of a family that genuinely cares about them and their well-being. Their customers are also important and wants their workers to be happy so that they can give guests the best service that they can. At the corporate level, P.C. Richard and Son do offer positions that are mixed into their general application area. Jobs for their three distribution centers, call centers, and all their stores are on the same website, so as you search for the job that you want, make sure that it’s in the area that you want. How old do you have to be to work at P.C. Richard and Son? Age requirements vary by job. As you look at P.C. Richard and Son jobs online, make sure that you read all job requirements carefully. Certain jobs require various certifications, degrees, or experiences. Those with P.C. Richard and Son careers do get access to benefits, which include health insurance that covers the employee and their family, dental plan, life insurance, and a 401K. If an employee works more than thirty hours a week, the employee gets time off benefits as well. Most P.C. Richard and Son stores maintain the same hours, opening at nine am Monday through Saturday. Sunday, the company only opens an hour later. Closing times throughout the week run anywhere from seven to nine thirty. The call center is open twenty-four seven in order to cater to people all over the world. Stock Associate – You will work on both the floor and in the back room loading and unloading various pieces of merchandise into trucks and customer vehicles. By maintaining a clean and organized stock room, you’ll be able to find merchandise quickly and know if you need to assemble it for the store floor. Compensation is around minimum wage. Internet Sales Associate – Having great communication skills is a must as you’ll be working to communicate with customers buying products online and from stores. When you’re able to, you’ll be striving to solve any issues that the customers are having and answering any questions they may have about various benefits with the products. Compensation is around minimum wage. Computer Technician – A lot of travelling is required for this position as you will visit all the stores as well as the distribution centers in order to check on the company’s computer equipment and make sure that everything is working properly. Compensation is around $30,000 a year. Why do you want to work at P.C. Richard and Son? This is an extremely common interview question, so make sure that you’re prepared for it. Talk about what drew you to the company, whether it was the company culture or benefits and why it’s your first choice of places to work. What experience do you have? Highlight all relevant work experience that you have. If you don’t have any experience, as the position doesn’t require it, talk about what you can bring to the position and offer the company instead. Make sure that you provide plenty of examples to back up your claims. As this company is geared towards customer service, this question may be asked in the form of a hypothetical situation: How would you take care of an upset customer? Be realistic and practical in how you would deal with them. Explain exactly what you would do and why. This company has three values that they strive to live up to, so you may be asked: How do you measure up to the company values? Before coming to your interview, know the company values and make sure that you have examples that you can use to back up your claims. How to apply for P.C. Richard and Son online: start by searching for the job that you’re interested in. Make sure to read all requirements carefully before starting on your P.C. Richard and Son application. There is no printable application for P.C. Richard and Son, but there are paper applications at their stores. Before attending your P.C. Richard and Son interview, make sure to do research on the company and the industry while creating a list of questions that you can bring up to you. This seems excessive for entry level positions, but it will show that you’re prepared and want the position. Have a positive and friendly attitude when you attend you P.C. Richard and Son interview as it will give a good impression and show that you’re ready to work in customer service. As the interview will be in a formal environment, dress appropriately in business casual at the very least. If you’ve applied for a management or supervisory position, a suit would be more appropriate. Make sure to show gratitude at the opportunity to interview with P.C. Richard and Son and inquire about the best way to check on your hiring status afterwards. Few applicants will learn if they got the job during the interview, as P.C. Richard and Son will want to screen all candidates before making a final decision. Cricket Wireless: Visit the Cricket Wireless application. Geek Squad: Checkout the application page for work at Geek Squad. hhgregg: For career opportunities, fill out the hhgregg online application. Brandsmart USA: Brandsmart USA offers opportunities for both, beginners and experienced roles. Verizon: Use the Verizon job application to apply here.